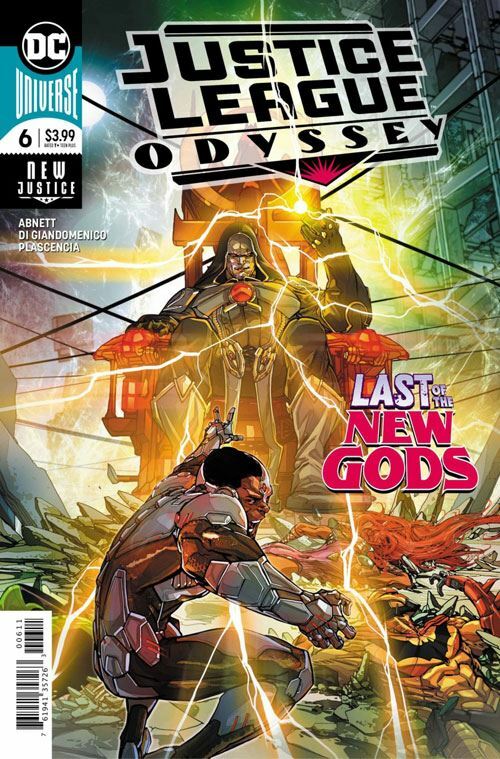 The title of the latest issue of Justice League Odyssey is “Things Fall Apart.” Hate to say it, but that serves as a good descriptor for the series as a whole. I hate to be critical. Dan Abnett and Carmine Di Giandomenico have both done work I really admire. But this issue is crap. I am sorry, but there is no other word for it. I am not sure of the reasons why Abnett took over the scripting from Joshua Williamson. While I did enjoy the first couple of issues, the last one really turned me off. Abnett is in the unenviable position of having to carry on a story that I had already soured on. But I was still hoping for more. There is more to good writing than stealing Tom King’s “Darkseid is,” and Abnett has shown himself capable of it. Perhaps this will get better in a couple more issues, but will anyone be around to read it? Similarly, Di Giandomenico’s art comes off very poorly on a lot of the pages. Cyborg’s big fight scene looks like spiders battling it out. Things improve on the pages set on Tamaran, but the finale, with Darkseid, once again looks pretty poor. We do find out what Darkseid’s big plans are, although they do not look likely to come to fruition. As always, I maintain hope that this book will get better. I always want to like the Justice League titles. But right now, I am not.